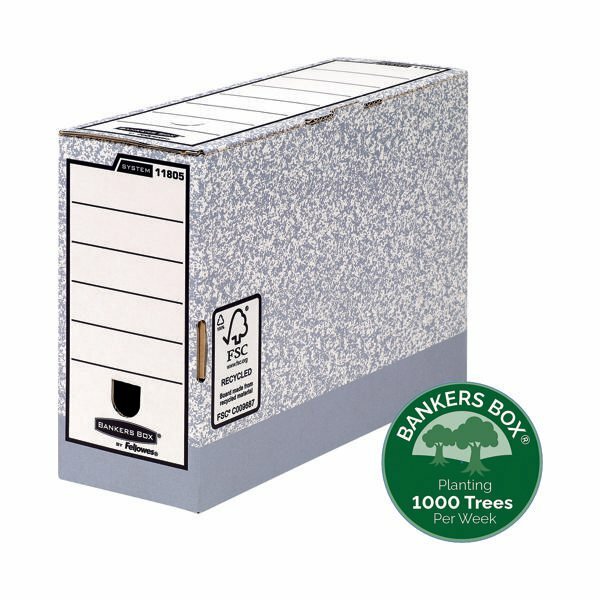 This Bankers Box transfer file features time saving Fastfold automatic assembly and a locking tab lid to help keep contents secure. 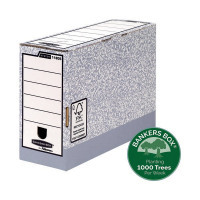 Compatible with Bankers Box system storage boxes and filing units, the transfer file has a large 120mm spine width and can hold both A4 and foolscap documents. This pack contains 10 grey and white transfer files measuring W120 x D360 x H255mm (internal dimensions).